It is with great joy that His Grace Mar Paulus Benjamin, Bishop of the Eastern United States, accepted the request of Very Rev. Fr. 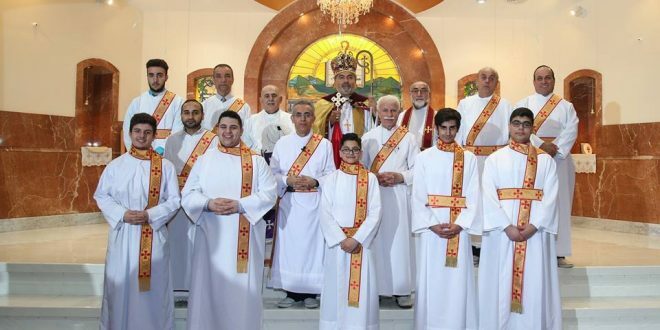 Cor-Bishop Dr. Gewargis Toma, parish priest of Saint Andrews Church in Glenview, Illinois to ordain one deacon and two sub-deacons for the growing parish! 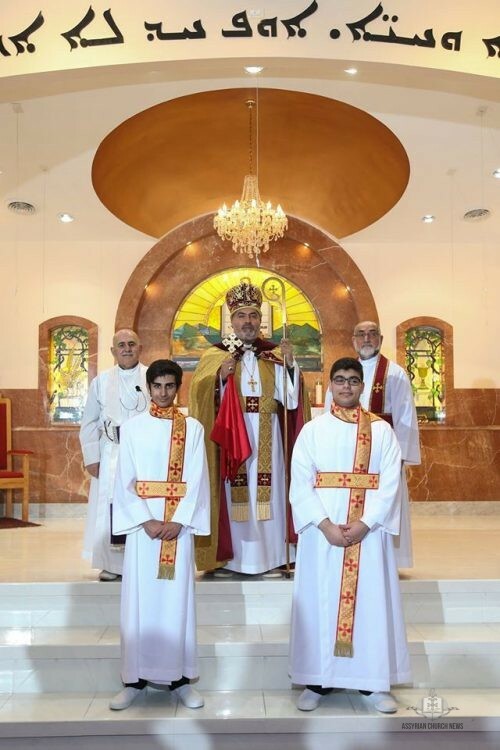 On the sixth week of the Great Fast, His Grace Mar Paulus Benjamin placed his blessed right hand upon two new Sub-Deacons; namely, Sargis Giliana and Tawer Matloub. 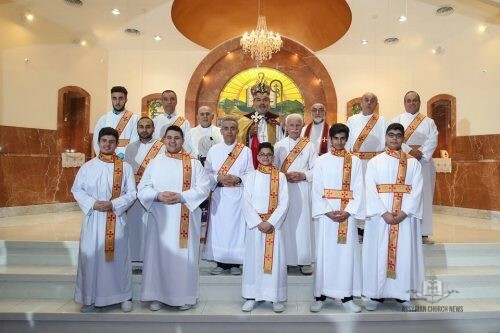 The newly ordained Sub-Deacons are great examples for the youth as they were both born and raised in the diaspora, but have spent countless hours studying the Aramaic language and the Apostolic traditions of our Holy Church. Lord willing, on April 23, 2017, during the celebration of the Divine Liturgy, His Grace Mar Paulus Benjamin will also elevate Afram Liwi Zakaria and raise him to the Holy Order of Diaconate for Saint Andrews Church. We request the prayers of all the Church faithful, across the world, for the ones who have been called to serve the Lord!